There has been much written on the best ways to study law. From personal experience, it was difficult to get first class grades in law exams without utilising the tool of mindmaps. The man credited with the invention of the mindmap is Tony Buzan. The below information details personal experience of their use, not necessarily Tony’s experiences. For further reading, Tony Buzan’s works are certainly to be highly recommended. Tony is also on Twitter. I’d suggest you follow Tony here. The whole idea, which was never really understood until starting law school, is that the brain does not operate in a linear fashion (e.g. working through a nice big list of things to remember: a commonality in lecture notes); instead, it works in a non-linear, planar way, much like a GPS satellite locating something. As such, when trying to remember bits of information spread across a mindmap, the brain can remember the exact position of the information (assisted by the lines you have drawn from the centre) and everything else around it. It is hard to explain in words, but after trying it out and trying to reproduce an entire mindmap from memory, the principles behind it should be easily understood. A further feature is the provision of a very complex yet comprehensive structure, with many more words and ideas forming on a single piece of paper than normally possible. You can see where ideas fit in the big picture. And you can see them quite literally at a glance. For honours law exams I used on average 10-20 mindmaps on A3 paper per course. These were in the smallest writing, spanning the entire page, with different highlight colours for different levels. These final products will be posted over the next few months on my website. For each lecture attended in third year of law school, I started off with a blank sheet of A3 or A4 and put the lecture heading in the middle of the page and worked from there (not all that tricky when you have a lecture structure to assist you). Funny looks from other students (or even professors) now and then may be common, but these are from the people who are only making it harder for themselves when it comes to remembering everything they’re writing down in linear lists and paragraphs. 2. When your analytical and logical brain hemisphere improves in conjunction with your creative side, a synergetic result is produced and you find yourself becoming a much more intelligent person who uses the full potential of his brain, instead of only one side (a half wit, perhaps). While my days as a University student are now over, I am happy to share my mindmaps here over the next few months in the hope that someone will find them valuable, even if only for inspiration in creating their own. Not only can mindmaps be applied to academic learning; they are also becoming more widely used for business purposes. Tony Buzan has, himself, written widely about the benefits to business from mindmapping with his recent book with Chris Griffiths: Mind Maps for Business: Revolutionise Your Business Thinking and Practice. A couple of years ago, I also bought a licence for iMindMap for around £50 from ThinkBuzan – Official Mind Mapping software by Tony Buzan. This is certainly to be recommended if you prefer a textual version of mindmaps, with potential to transform them into pdfs or powerpoint presentations. So there certainly are some interesting concepts still to be mapped out. As an illustration, I have posted a rather detailed A3 mindmap on the legal regulation of e-commerce in the UK and in the EU HERE, including analysis of consumer rights and duties on businesses. These were notes for an honours exam on Computers and the Law at the University of Glasgow. You’ll notice I haven’t stuck strictly to Tony Buzan’s advice of writing one key word per line. Based on my experience, I believe that for subjects that require you to learn large amounts of complex information in a short space of time you want to put down important points of law (in more than one word) and perhaps even write whole definitions. If you feel the need to write out a definition on your mind map, make sure that you break it down into pictures (the more personalised, humorous and exaggerated the better). I’ll be posting further mindmaps over the next few months. In the meantime, if you’d like to get in touch regarding mindmaps for legal studies, for business or even for personal use, please do so at https://wardblawg.com/contact or comment below with your own personal experiences. It would be great to hear from you! Best Personal Injury Lawyers UK (London, Bristol, Manchester, Birmingham & Beyond). See also our guide here. If you have any suggestions for firms that should be in these lists or extra advice you can provide for these guides (which will, of course, be credited to you), please do get in touch. Great article. 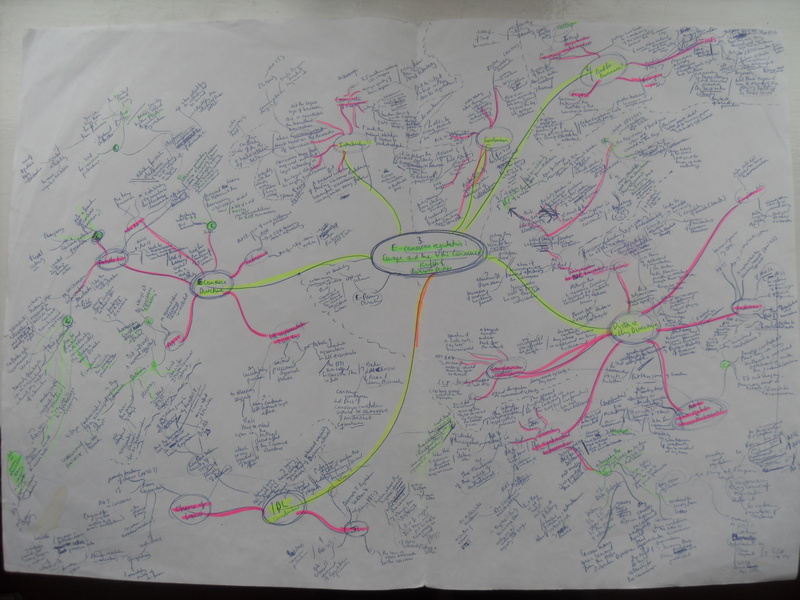 I started to “learn” mindmaps, but then got stuck into exams, wish i’d done it earlier. your writing on your mindmaps is clearly only for you!! but i’d suggest typing them up and selling them! would be very helpful. i did a project on ecommerce law, got a good 2:1…. if only i’d had mindmaps, maybe I could have got a first! I have all my CPE/GDL notes on a mindmap using the freely available software, Freemind. I’m still updating and referring to the work. A fascinating example of the use of mindmaps can be found in the work of Mark Lombardi.